Equipment Rental in San Jose – A Tool Shed Are Popcorn Ceilings Outdated? Popcorn ceilings—ceilings with bumpy textures—were once a popular home décor choice, but now that styles have changed, many homeowners are still left with this look overhead. Some people question whether popcorn ceilings are outdated—and some even wonder if they could be dangerous. 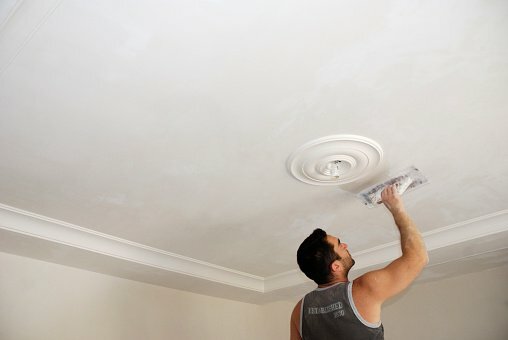 Should you start looking into tools to smooth out your popcorn ceiling? Some popcorn ceilings contain asbestos, which can be very dangerous when disturbed if not handled carefully. However, even if your ceilings don’t contain asbestos, popcorn ceilings are definitely past their prime in terms of style. If you plan to sell your home, renting equipment to get rid of your popcorn ceiling could be a smart investment. A Tool Shed has a wide range of tool rental available, from drills to forklifts and everything in between. Start crossing items off your to-do list with out tool rentals in San Jose . To find out which of our seven locations is most convenient for you, call (800) 286-6574.